Who Gets Exempted from Ph Travel Tax? Every Filipino international traveler leaving the Philippines has at one point complained about paying for travel tax and I’ve joined the lamentation several times myself. While the Philippines is not the country with most expensive departure fee, the P2,700 ($54) and P1,620 ($33) travel tax for first class and economy passengers, respectively, can be quite an additional price to pay for a vacation or a business trip abroad. 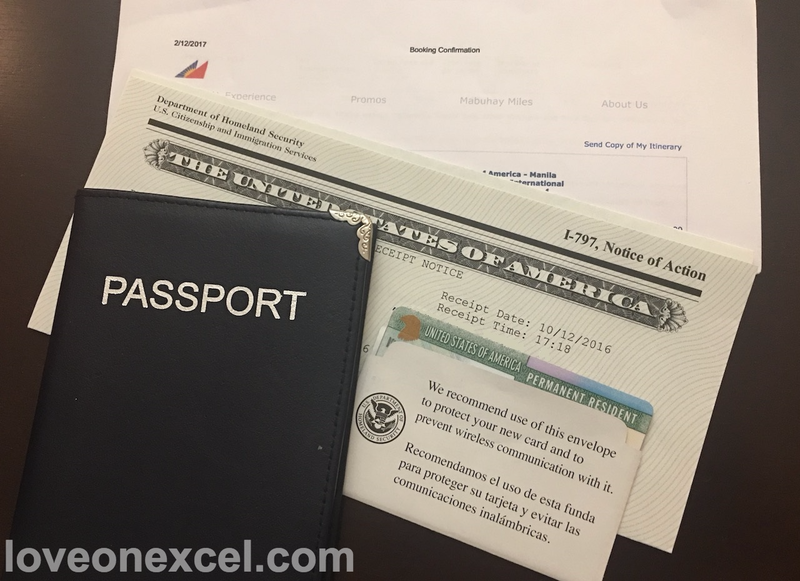 Documents that a legal permanent resident need to travel in and out of the US. Our recent journey back to the Philippines was exactly what Ray and I needed- quality time with family, nostalgic friend-aissance, and a brief time away from the cold city life.